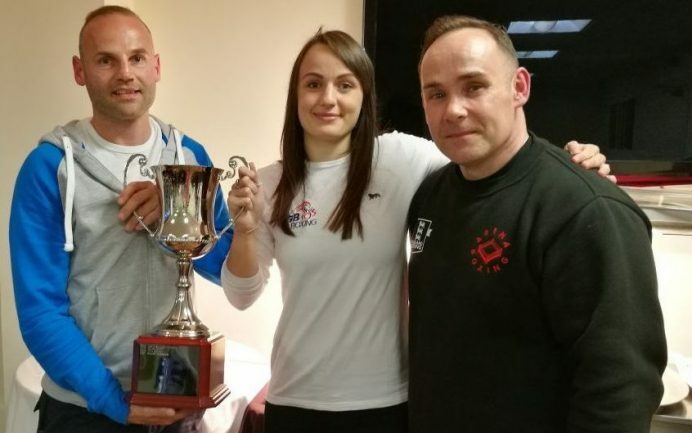 Arena Boxing Club chalked up an extremely successful weekend as their GB Champion Raven Chapman received the award for Dorset’s best Senior Boxer and young Charlie Drury won the Bristol Box Cup. Raven Chapman received the award from Bournemouth’s long time professional heavyweight Dave Fry, former foe of British and Commonwealth Champion Danny McAlinden. 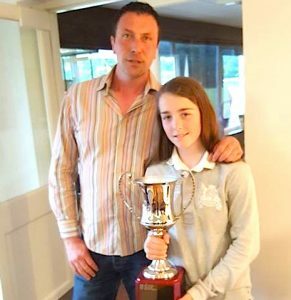 Also being recognised was Bournemouth ABC’s Willow Thomas who received the Junior Boxer of the year award. Willow was accompanied by her head coach (and ex Super middleweight professional boxer Barrie Bessant. Raven was supported by coaches Steve Clarke and Les Simmons and his daughter Lily and Arena boxers Claire Farmer, Marianne Michael, Louis Clark and of course her proud boyfriend Chris. 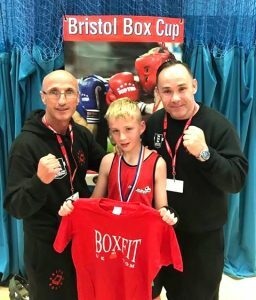 Charlie Drury won the Bristol Box Cup after two stunning performances – more to come from this young man. Lead photo shows Arena’s head coach Steve Clark, Raven Chapman and coach Les.